OptimumCare Home Care Services are here for you and your loved ones. We know that you can’t be everywhere at once, and it can be challenging and sometimes overwhelming to find the best in senior and disabled care for a loved one. OptimumCare Home Care provides a wide range of services designed to meet the specific needs of every one of our clients. From companion services to non-medical home care, meal preparation, family respite care, or visiting private duty nursing, OptimumCare Home Care Services provides a full range of home health care services designed to meet the needs of every individual in a home-based care scenario. When looking for the best home care services for seniors and the disabled of all ages, look to the reputation of providers within your community. Feedback from other customers, a good rating from your local Chamber of Commerce and the Better Business Bureau are first steps to take in determining the level of care provided by any home care company. 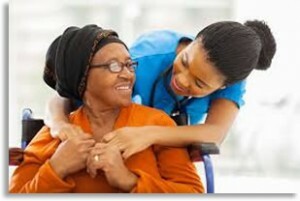 OptimumCare Home Care Services offers a wide range of skilled, experienced, and trained in-home care. We focus on keeping you or a loved one as independent, mobile, and comfortable as possible. We know that independence and quality of life is important to you and your family so whether you’re looking for supervision for a loved one with dementia, transportation services or respite care for the disabled, look to those with experience in such care. Whether you need companionship services, oversight with meal planning and preparation, or private duty nursing, our staff is experienced, trained, and comfortable in providing a wide range of services to meet your needs. We understand is that it can be difficult to share or turn over the care of a loved one to a total stranger. That’s why we like to take the time and make the effort to get to know you, your family, and your needs and goals. Our care services are catered to meet the needs of each of our care recipients, and we base care on your schedule, not ours. More seniors and disabled individuals are opting for care in their own homes, which makes sense. Comfort levels, a sense of security, and familiarity enhance the mental and emotional needs of young and old alike. Call us today and ask about our wide range of services, from live in-home care to non-medical care, safety supervision, transportation, light housekeeping, or meal oversight and preparation. We’re here to help you share the burden in providing the best in quality care for yourself or a loved one.